One of my favorite things about the Christmas season is baking and indulging in Christmas Cookies! I love making Christmas cookie plates as gifts and to bring to Christmas parties, so I start making, freezing and storing Christmas goodies now! The key to a good Christmas cookie plate in my opinion is to have a diversity of goodies, so I like to make a couple different varieties weekly. 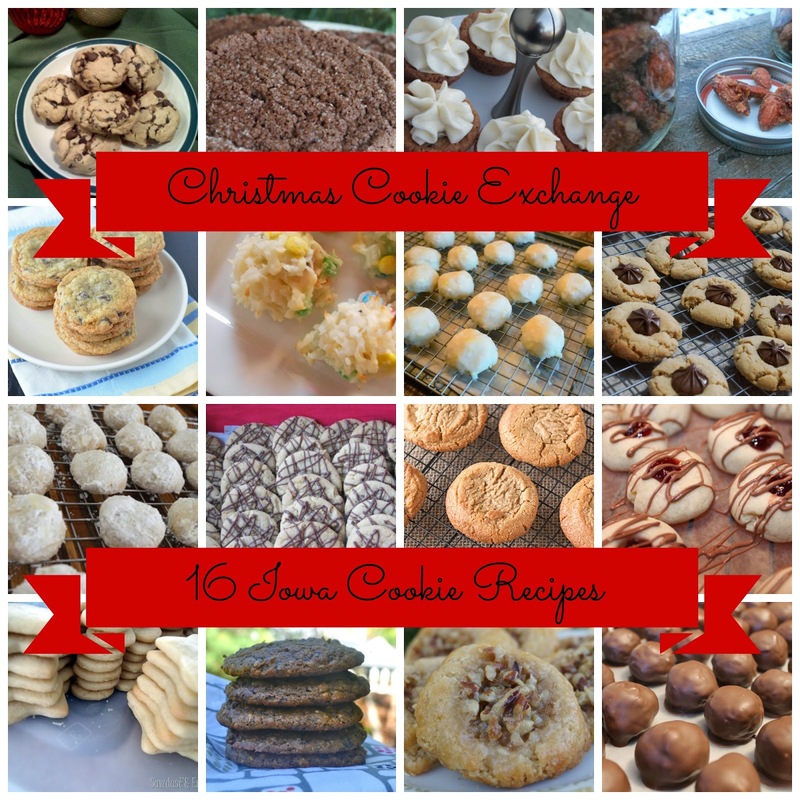 I asked some of my fellow Iowa bloggers what some of their favorite Christmas cookies are and am happy to share them as part of this Christmas Cookie Exchange! Chocolate Chip Bacon Cookies from DonnaHup.com - Bacon! Do I really need to say anymore? Plus, these cookies are gluten-free, as Donna is gluten intolerant. Sugared Chocolate Cookies from In the Kitchen with Jenny - What a great spin on a sugar cookie for chocolate lovers! Plus, these are blue-ribbon cookies. Cream Cheese Cookie Cups from Been There Baked That - These are another set of prize winning cookies and will be sure to impress at your next holiday party! Cinnamon Sugar Candied Almonds from Ally's Sweet & Savory Eats - These would make a perfect Christmas gift and will spice up your Christmas cookie plate! Flour Bakery Chocolate Chip Cookies from Blissfully Delicious - You can't go wrong with a delicious chocolate chip cookie for your Christmas cookie plate (or to have stocked in your freezer all year long!). This recipe shared from Yudith includes both all purpose and bread flour, as well as both semi-sweet and milk chocolate. Holiday M&M Macaroons from Ally's Sweet & Savory Eats - These just look festive and I'm sure would pleasing to the eye on any Christmas cookie plate. Lemon-Glazed Meltaway Cookies from Jeni Eats - Jeni and I both have a love for church cookbooks so I know this will be a hit since she adapted this recipe from her church cookbook collection. Chocolate Star Cookies from In the Kitchen with Jenny - I feel like these cookies are a staple for every Christmas cookie plate. Who doesn't love peanut butter and chocolate? Mexican Wedding Cakes from In the Kitchen with Jenny - I've seen these cookies on Christmas cookie plates but never knew exactly what they were. Now I do and can't wait to make these light and nutty cookies! 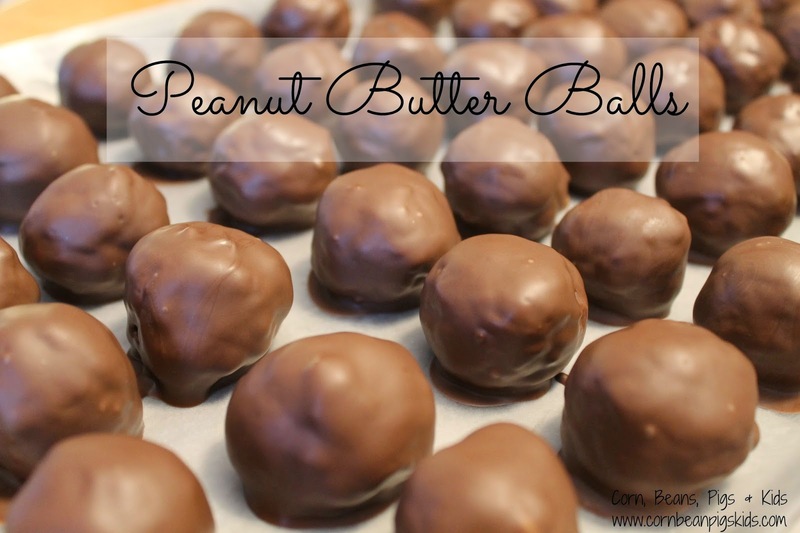 Peanut Butter Delights from Been There Baked That - This recipe is an old favorite of Steph's that includes a creamy peanut butter filling. Another chocolate peanut butter combination to fill your Christmas cookie plate! Peanut Butter Cookie from Veggies by Candlelight - This vegan cookie recipe uses maple syrup to sweeten the cookie and just might be the healthiest cookie on your Christmas cookie plate. Raspberry Thumbprint Drops from Ally's Sweet & Savory Eats - If you're looking for something sweet and fruity for your Christmas cookie plate these will hit the spot. Plus you can't go wrong with a drizzle of chocolate on top! The Most Perfect Sugar Cookie Cutout from Sawdust & Embryos - I personally usually make cutout cookies only a couple times of year and Christmas is one of those times. I'm sure Nick & Beth love making these with their little girls and I can't wait to try their recipe with my kids! Sweet Potato Flourless Chocolate and Almond Cookies from Make the Best of Everything - These would be perfect to make with any left over sweet potatoes you might still have in your refrigerator from Thanksgiving. Another great thing is that these are flourless if you have anyone that needs a gluten-free cookie. Pecan Pie Thumbprint Cookies from In the Kitchen with Jenny - Pecan pie is my favorite pie and I've made pecan pie bars before but never pecan pie cookies! I can't wait to try these out this Christmas season. Got your oven on preheat now? Which one of these recipes are you excited to make? Remember to Comment for a Cause! Also, a special thanks to all of my fellow Iowa bloggers that helped contribute to my Iowa Christmas Cookie Exchange! First - I get most of my shopping done (and without kids)! Second - I start playing Christmas carols in the car and in the house. And Third - I start stocking up on Christmas goodies! Combine first four ingredients. The mixture should be able to stick and stay together, and at the same time not leave peanut butter all over your hands. Roll mixture into balls about the size of a quarter. Dip balls into melted almond bark. (If your almond bark is really thick, add a tablespoon of shortening to the almond bark to thin it out slightly but not changing the flavor.) Refrigerate or keep in cold storage. ***Chef's Note*** I like to use a spoon to help cover each peanut butter ball in almond bark and then spoon the ball onto a fork to drain off excess chocolate before letting it set on a cookie sheet with parchment paper on it. What is your family's favorite Christmas goodie? Remember to Comment for a Cause! Also, be sure to check out my blog this weekend for a Christmas Cookie Exchange round-up post! I can't believe it is already Thanksgiving Eve! 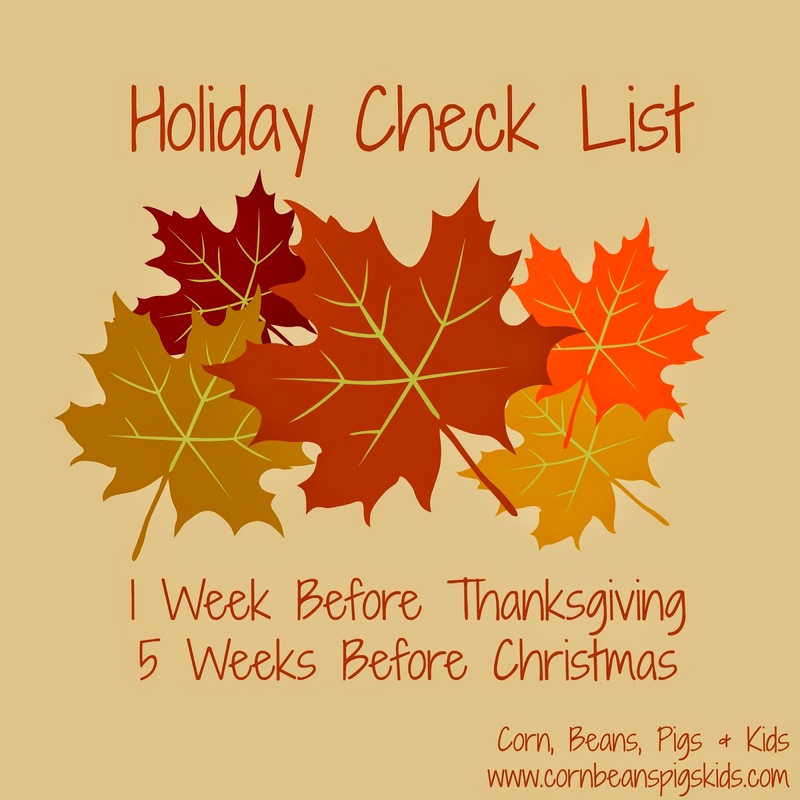 One of the items on my Holiday Check List for this week is to complete my Christmas gift lists. 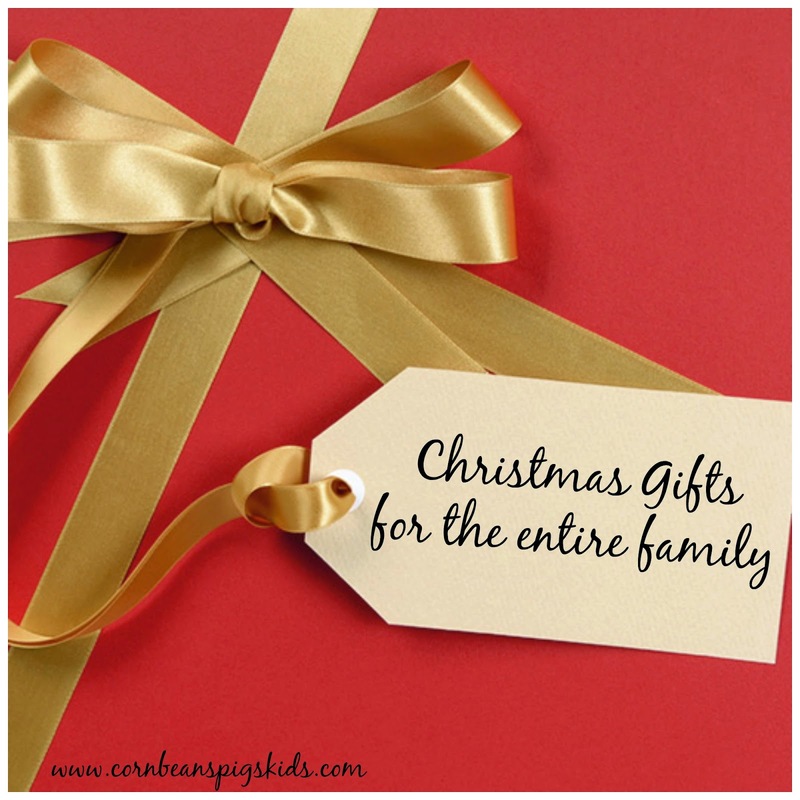 This includes not only finalizing my family's wish list, but also deciding what gifts we will be giving others. I know I always appreciate some extra ideas to help with Christmas gifts so I figured I'd share some ideas from my family. 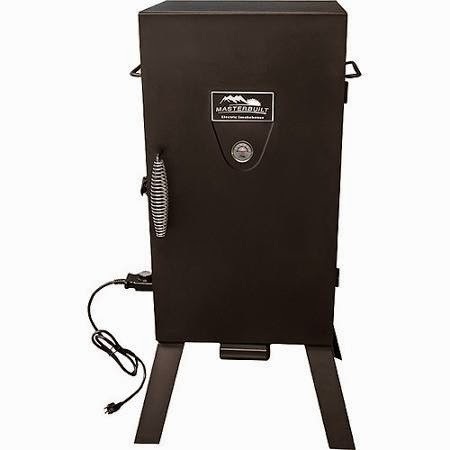 Electric Smoker: If you don't have an electric smoker you need to get this on your list this year! This is the perfect gift for the guy in your life (that you also can use!) You can use your smoker all year long and have a lot of fun experimenting with different types of meats, rubs, marinades, etc. Most sporting good stores have sections dedicated to smokers and outdoor cooking. Yellow Work Gloves: What guy that works outside doesn't need some new work gloves? 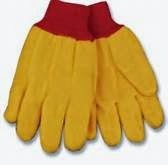 For My Farmer his go-to pair of work gloves are the classic yellow work gloves. These are very affordable and you can buy them in large packages, so you always have a pair available! An added plus for those that wash clothes in your home, they can be easily thrown in the wash with your other chore clothes. These would also make a great stocking stuffer! 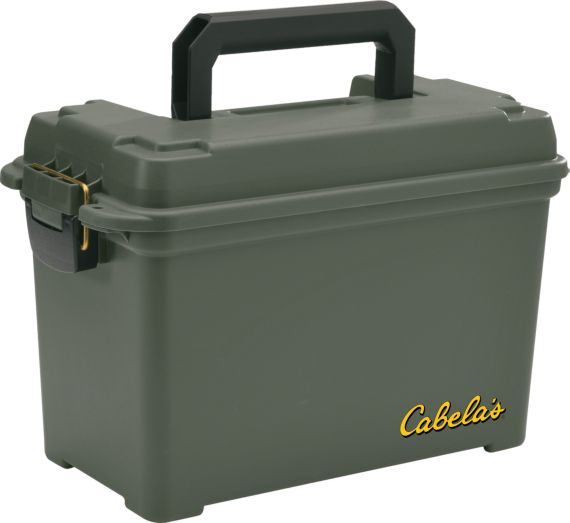 Ammunition Box: If you have a hunter or a trap shooter on your list like my husband, then they need an ammo box. Ammo boxes come in a variety of sizes and help your gunman's (or gunwoman's) ammunition stay organized, dry and safe. Many boxes are stackable as well so you can sort your ammunition into different boxes for your different firearms. Magazine Subscription: I will be the first to admit that I stay pretty busy - but what Mom doesn't! I know this upcoming year I'm going to appreciate when I get a magazine in the mail to just sit and relax with. (With soon to be 3 kids ages 3 and under I'm going to deserve a little "me" time.) So whether you're into cooking, home decor or would just like some more ideas of things to do with your kids, there is a magazine for you. This year I'm asking for a subscription to Family Fun. They always have a lot of great ideas! Kitchen Gadgets and Tools: One thing I have on my wish list every year are at least a couple different new kitchen gadgets and tools. Sometimes they are brand new items I've always wanted but have never purchased for myself, while others are replacements for ones that I've had since college... 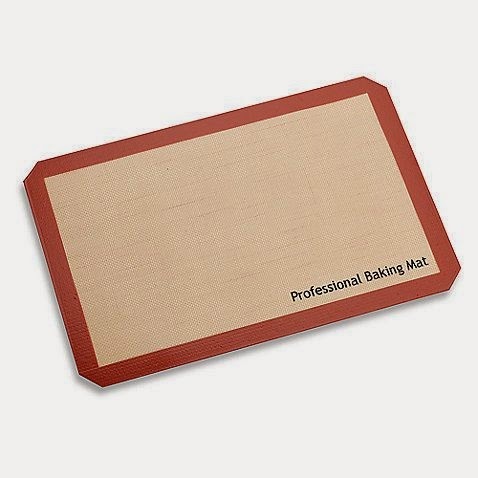 I love to cook and bake and this year I'm hoping someone gives me some new silicone baking mats, pot handle grips, a bouncy whisk and a pie bird. 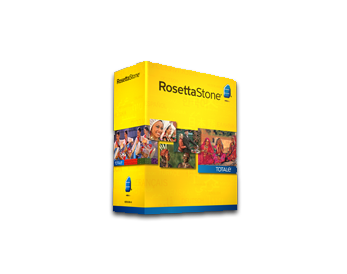 Learn A New Language Program: Maybe for some of you it is too early to start thinking about New Year's Goals, but for me, I know I'd really like to learn how to speak Spanish. So on my list this year I'm hoping someone will help me with that goal by giving me a Spanish language learning program. 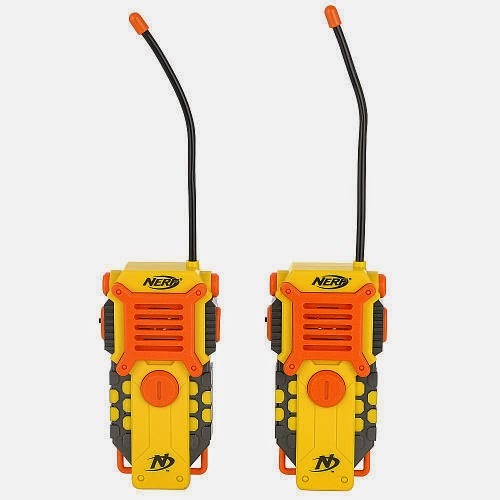 Walkie Talkies: On our farm we use two-way radios and our son loves using them, so we're going to give him his own pair this Christmas. 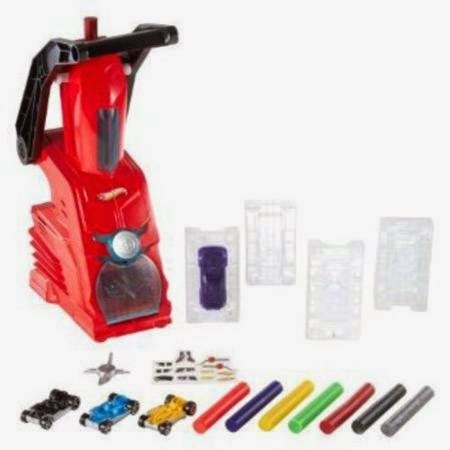 What a fun toy for boys and girls to use with their siblings and friends! I remember having some when I was a kid and my sisters and I loved playing with them. I can't wait to see how LP enjoys his! Building Toys: Whether it is Legos, Lincoln Logs or simply blocks of different sizes and shapes, kids love building things and LP is no different. This year while making wish lists we saw some really neat building sets that use bolts and screws, to magnetic colored shapes, to gears. 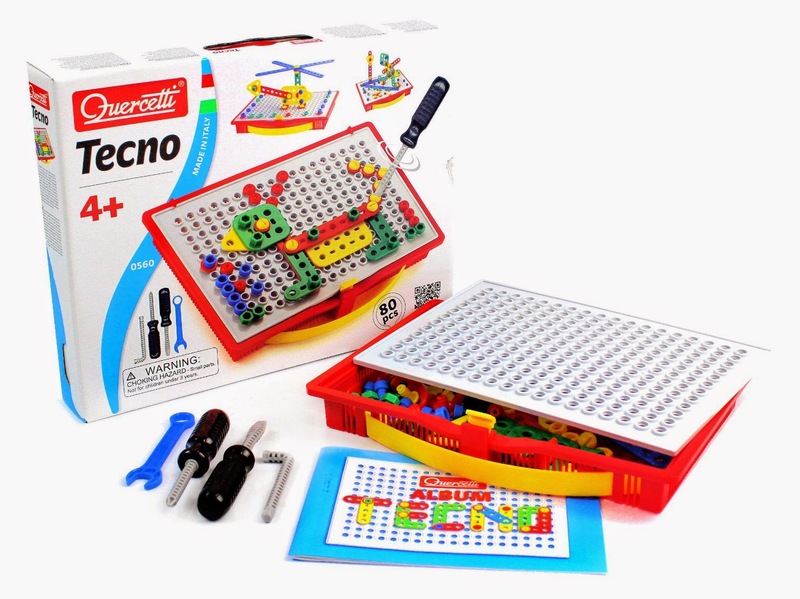 There are so many fun sets available that will help your preschooler use their imagination. Hot Wheels Car Maker Playset: LP loves anything with wheels and he loves to make crafts. So why not combine those loves and get him a Hot Wheels Car Maker! He gets to pick out the car type, color and decals. This should be a lot of fun to make and play with! Melissa and Doug Learning Sets: Who doesn't Love Melissa and Doug products? One thing I've looked into for MP this Christmas is some of their learning sets. 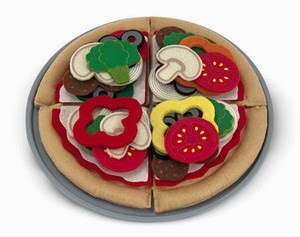 They have learning sets from food, to occupations. Most of these sets are wooden, and some are available in felt too. There are so many neat ideas they have - the hard part will be choosing exactly which one to buy! Books and CDs - We personally give our kids one piece of clothing, one toy and one book (3 gifts to represent the 3 gifts Jesus received) for Christmas gifts. Reading is so important to us so we are always looking for new books for our kids. We also like to get our kids a new CD in their stocking every year too. 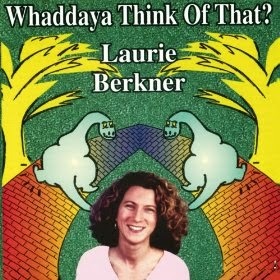 This year our library has gotten us hooked on Laurie Berkner! If you have any preschoolers and under on your shopping list this year you'll have to check out her catchy songs like "We are the Dinosaurs", "These are my Glasses" and "I Know a Chicken". "Little Helper" tools - MP loves to imitate her big brother, her dad and me, so why not get her some "pint-size" tools to help her do so. 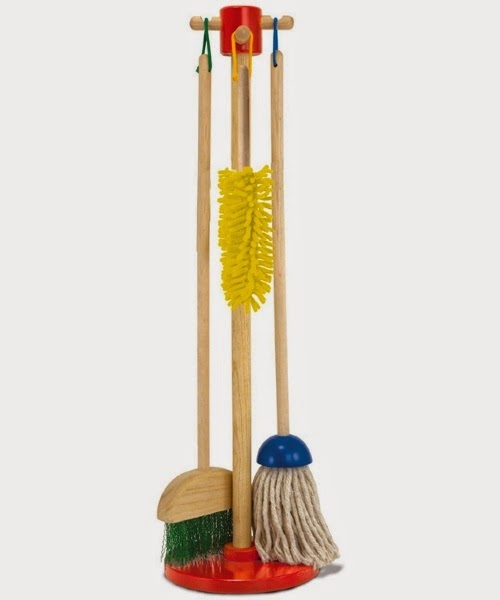 You can find fun kids sized brooms, vacuums, aprons, tool sets, etc. 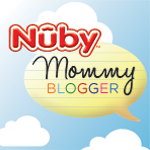 to help your little one help you - whatever the task may be! Plus, since MP will soon be a big sister, I'm sure she'll want to be a big helper even more than she does now! What are some ideas on your wish list? What gifts are you excited to give this year? Remember to Comment for a Cause! 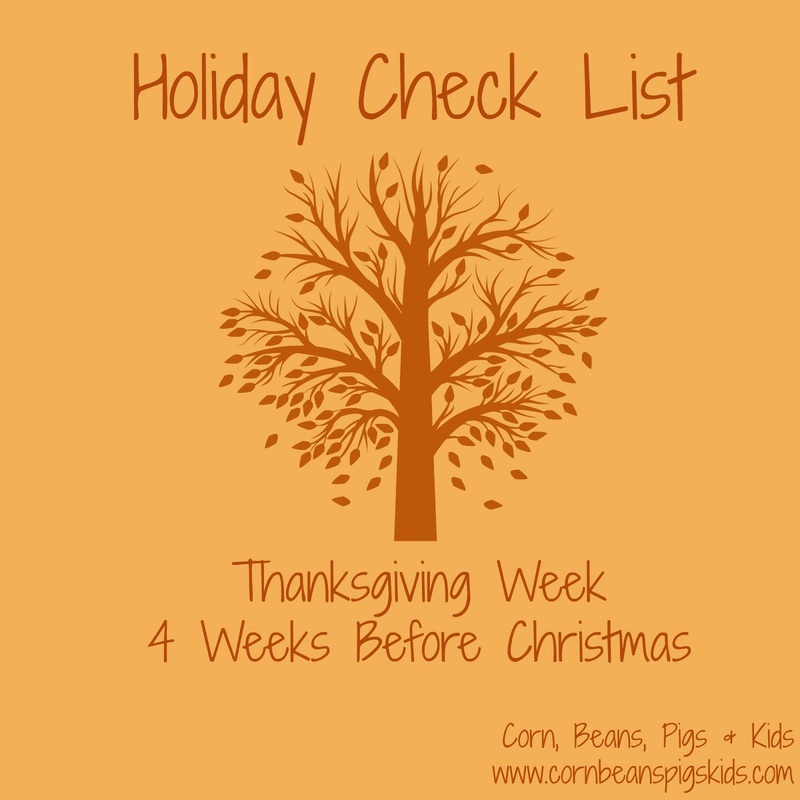 And be sure to check out even more ideas by looking at my list from last year. I just heard on the news last night that November is one of the busiest months for food banks in Iowa between the holidays, tighter end-of-the-year budgets and colder temperatures. We all can help hungry families in need by simply donating to our local food pantries and organizations like Feeding America. I'm happy to accept the #CanHunger challenge from Amy at Modern Rural Living to sign a can of food, donate it and challenge three friends to do the same: Katy from Learning As I Go, Katie from On the Banks of Squaw Creek and Katie from the Pinke Post! A reminder to everyone that throughout the month of November my Comments for the Cause is going towards the #NorthIowaBloggers food drive. So help today by commenting how you are going to help hungry families this holiday season! Also, don't forget to enter my "My Family's Farm" children's turkey farm book giveaway! It ends this Thursday! 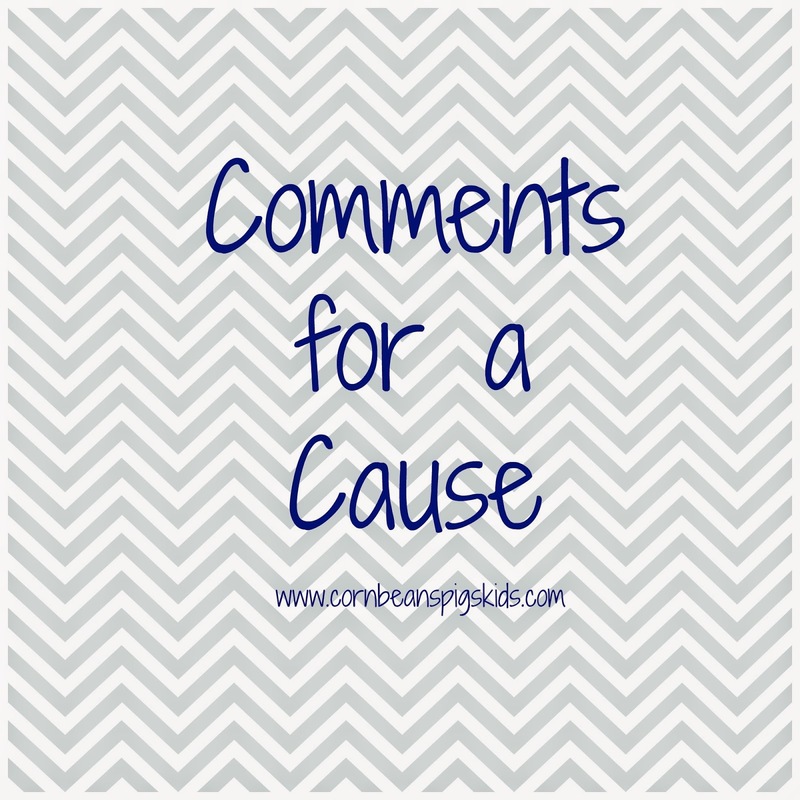 It is November 1st which means it is time to talk about Comments for a Cause! First thing to cover is my donation to the Iowa 4-H Foundation for the month of October. 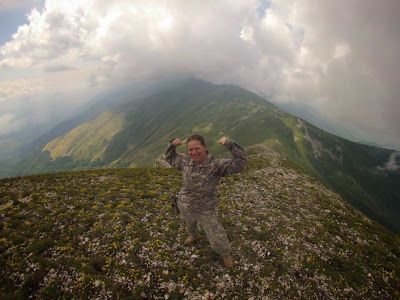 Thank you for the 235 comments posted during the month, which results in a $117.50 donation. 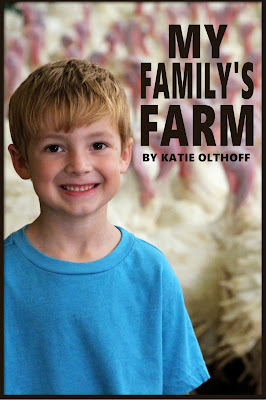 It was great hearing so many 4-H stories during National 4-H Week, plus interacting with new and veteran readers through my "31 Days from a Tractor Seat" series. Thank you so much for helping me make such a nice donation to help Iowa 4-Hers. 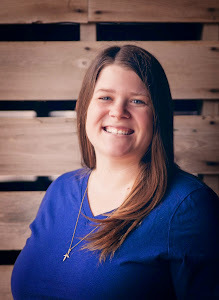 In the month of November I am excited to be joining up with my fellow bloggers in North Iowa to promote both the Hawkeye Harvest Food Bank and the Franklin County Food Pantry through a Food Drive. We will be collecting donations of both food goods and donations that will be split between the two facilities. 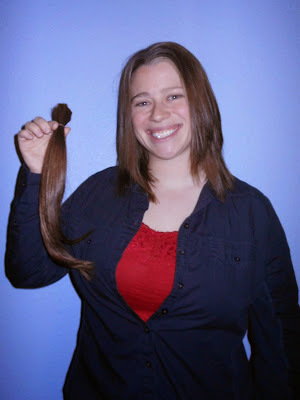 I will also be donating $0.50 for every comment during the month towards the Food Drive campaign. Food banks across the nation are in need of assistance all year long and what a better time to give to them then during the month where we remind ourselves what we are thankful for. 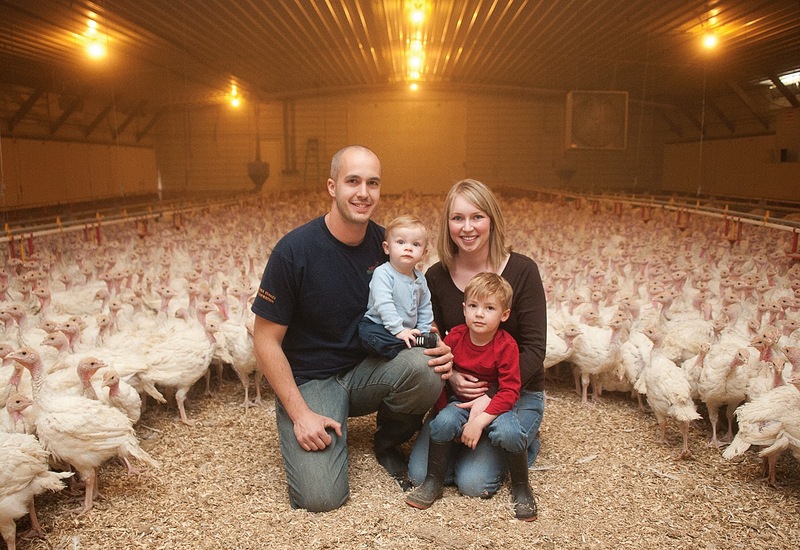 I am very thankful for everything I have in my life and I'm proud to help provide healthy, affordable and quality food as a farmer. So how can you help? 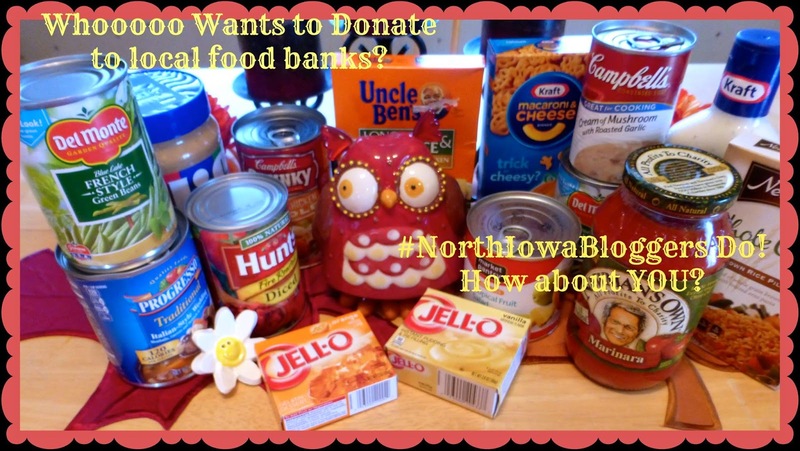 If you would like to join in on the North Iowa Bloggers food drive we'd love have you join us. You can email me at vplagge@gmail.com or contact Beth Ann at It's Just Life if you'd like to make a donation of any sort and we will follow up with you. We all think it'd be great if this local food drive went viral! If you would rather donate to your own local food pantry PLEASE do! 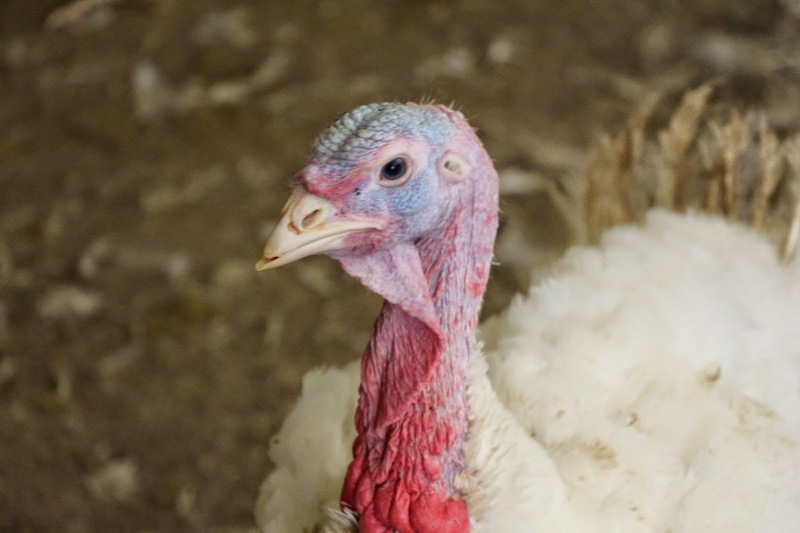 They are all in need of food and what better timing than with the holidays approaching. Check out my Guide to Help your Local Food Bank for ideas, both traditional and non-traditional, to help you with your donation. Also, to learn more about the North Iowa Bloggers, check out our new Facebook page! Have you participated in any food drives in the past? If you donate this month to your local food bank please let me know. The North Iowa Bloggers would love to keep track of the amount of food and dollars raised not only for our food drive, but for food banks across the world. Remember to Comment for a Cause!